Sport can be a powerful learning tool. Teamwork, communication, and discipline are learned in practice, not just taught in the classroom. Socio-economic, cultural, and language barriers are also broken through shared experiences at practices and games. When someone very different than you is working with you towards the same goal, a unique bond is formed. 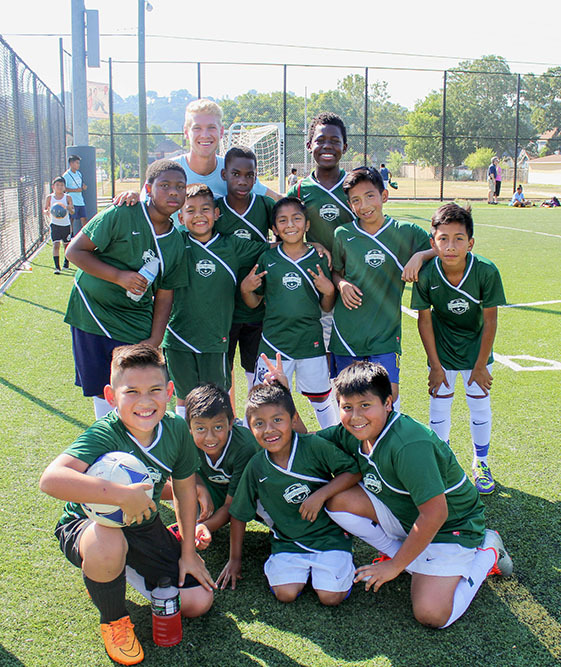 We currently offer spring, summer and fall soccer seasons for youth players and we’re looking for coaches and volunteers dedicated to a impacting youth through multicultural, mentoring relationships through the game of soccer. You can find us in the neighborhoods of East Chattanooga, Highland Park, East Lake, and Wheeler Homes.